OutlineIf you primarily associate winter with skiing, think of High1 Ski Resort when winter comes. You deserve privileged services. The world-class scale and facilities of High1 Ski Resort offer full thrills and shrills for fun-seeking snowboarders and skiers. 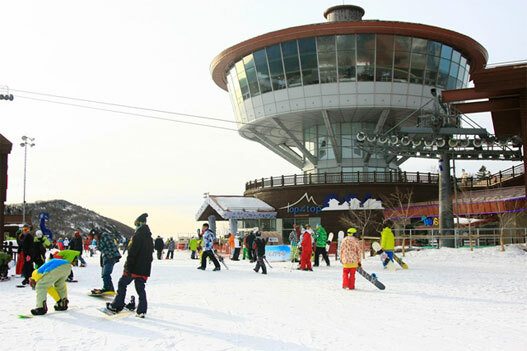 High1 has three peaks : Jijang Mountain Peak (1,345m) at one of the ends of Baekwoon Mountain, Valley Top (1,376m) and Mountain Hub (1250m) on the left and right. Difficulty levels are varied from beginner level to a dizzy height of counter-rotation course certified by the International Ski Federation (FIS). The valley course, the longest at 4.2 km, (645m altitude drop) slopes down to the Valley Condominiums, swooping down from the Mountain Top via Valley Hub. The slope is mostly straight, and its inclination is low. Thus, it is favored by beginners. 3 units of 8-person gondolas, 6 units of 6-person and 4-person chairlifts (express), and 1 unit of T-bar (2-person, 302m) — these lift systems hold excellent capacity. As for the lift operating distance, the shortest one is 1221m; two gondolas operate at 2.5km. 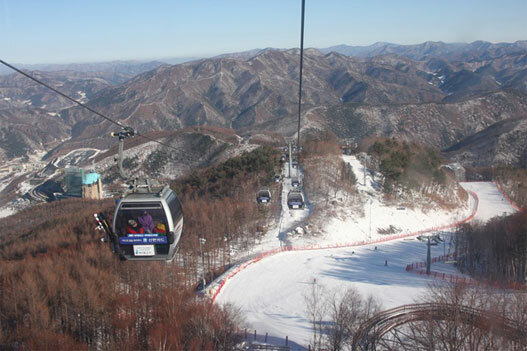 High1 is the only one in Korea that runs 3 gondolas. 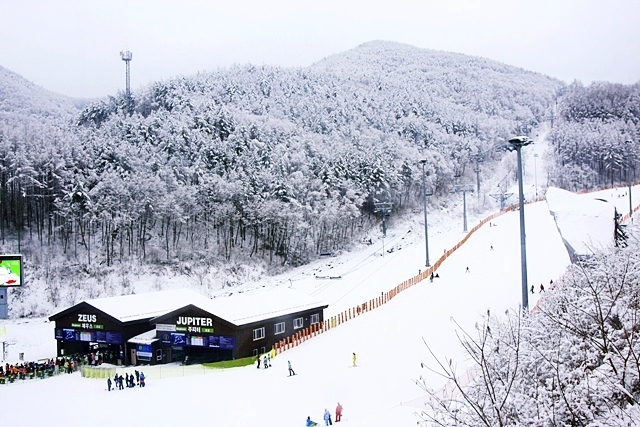 Korea’s first handicapped ski school and officially certified slopes capable of staging international competitions. It is High1’s Keyword: Handicapped Skiing. 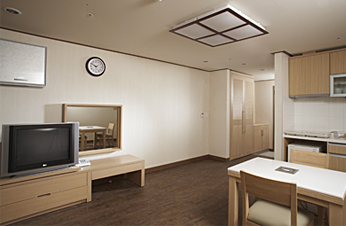 High1’s facility is designed to let the handicapped fully enjoy sans the inconvenience. It comes from the idea that the convenience of the handicapped does not need to be burdensome on the part of the non-handicapped. Furthermore, High1 Ski resort holds two certified slopes for World Cup Ski championships. 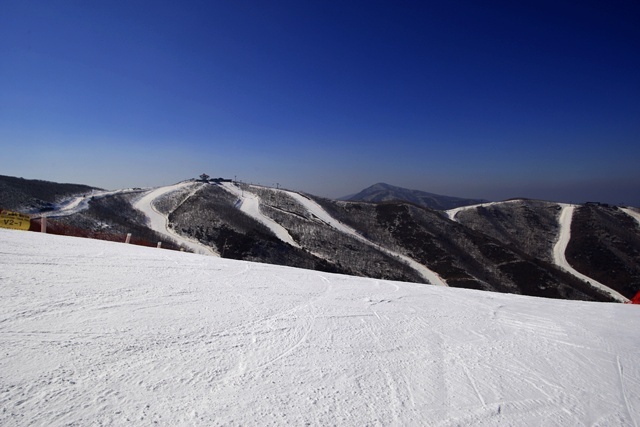 It has infrastructure for all sorts of competitions including World Cup skiing and freestyle skiing, with a space dedicated for Korean athletes. Patrol Stations are based on the peaks (Mountain Top and Valley Top); an emergency phone is available on the edge of the slope with first aid supplies in case of a safety accident. Gentle slopes that let beginners go up the hill and swoop down are available on the top of the mountains. Most ski hills differentiate intermediate/advanced skiers and beginners, but High1 offers equal opportunity to enjoy the mountain-top view. In particular, it lets all family members enjoy skiing together, with no need of parting. 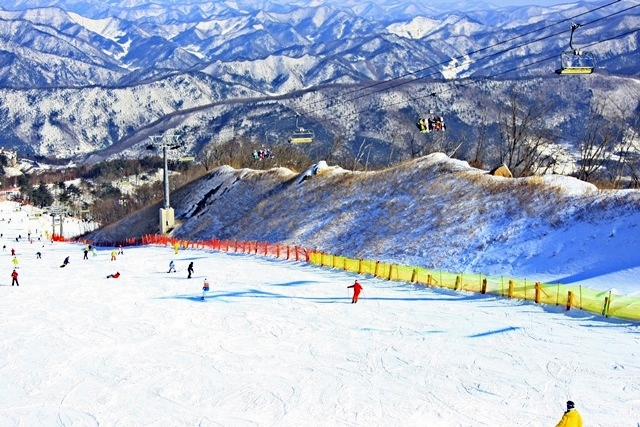 Automatic sensor system that requires no lift ticket to be displayed Cutting-edge, lens-free screening pass, first introduced in Korea by High1 Ski resort Disposable paper RF card (lift ticket) in your pocket — no need to take it out and show it; it will be checked automatically. 12:30 ~ 16:30 Enjoy Ski! 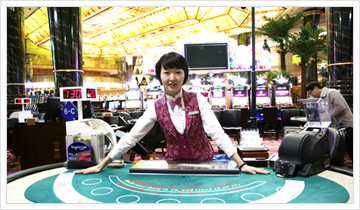 Note Kangwon land is korea’s largest casino with 132 table game machnes and 960 video game machens, and is also the only casino which allows korean citizens to play. 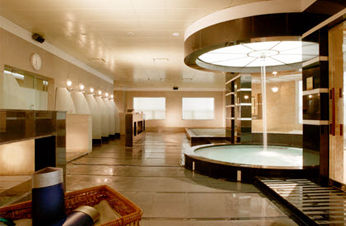 Enjoy the grand splendid interior design of kangwon land casino. 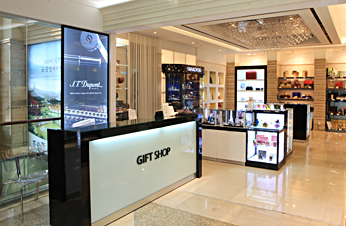 Professional dealer service, free drinks, high-class casino buffet and vip lounge services are waiting for you. 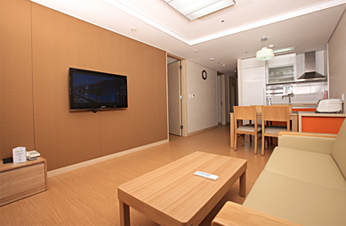 Have an experience of healthy gambling culture and enjoy a comfortable and pleasant stay in kangwon land casino. It is a popular sauna for regular customers and family customers and there are hair care products and basic fine cosmetics for men and women for customer’s convenience in this sauna. 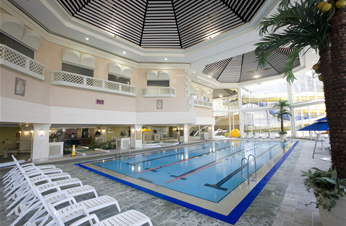 for men and women for customer’s convenience in this swimming pool. 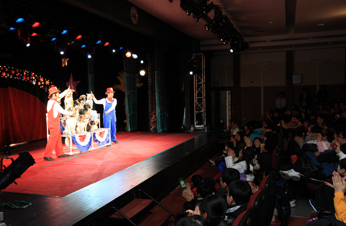 Casa Cinema, located on the 3rd floor of Kangwon Land Hotel, will touch you with the best performance beyond expectations. 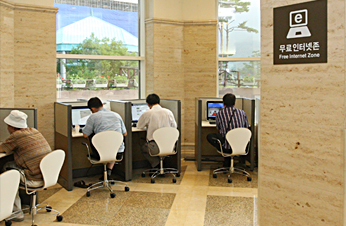 Public Computers for customers which can be used freely.This is the space for customer’s convenience where you can use the PC for free.